BestHostingSearch.NET today announced the best reseller hosting plans for 2015 and introduced some of the best choices that can help webmasters start a web hosting business quickly. The web hosting review site BestHostingSearch.NET today announced the best reseller hosting plans for 2015. Offered by well-known web hosts including InMotion Hosting, Arvixe and HostGator, the plans are affordable and easy-to-use. All of the plans come with WHM access which helps users manage sub-accounts, resources, billing and support without much time and effort. 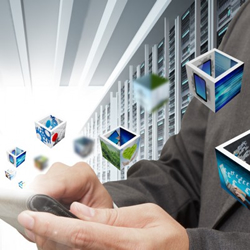 The availability of a wide variety of hosting tools also enables the users to offer an optimized hosting experience. R-1000S is the primary reseller hosting plan offered for starters who want to launch a reselling business but do not have enough budget or experience. The plan is priced from $27.99/mo regularly, while this exclusive promotional link lowers the rate to $13.99/mo. The plan includes 80 GB SSD storage and 800 GB bandwidth. Other features include a cPanel license, Softaculous auto-installer, an eNom domain reseller account, WHMCS billing software, backups, and a dedicated IP. In addition, the users can build their own brand with custom cPanel branding, unbranded name servers and customizable themes. When the demand goes beyond R-1000S, there are two upgrade options with more disk storage and bandwidth. InMotion guarantees 90-day refund to increase the safety of customers' payments. For more information about InMotion reseller hosting plans, visit https://besthostingsearch.net/tutorial/inmotion-reseller-hosting-review-discount/. Priced at $20/mo, Reseller Class plan includes 50 GB disk space, 500 GB bandwidth, a domain name, and an SSL certificate for life. WHM control panel, domain reseller account, Attracta SEO tools, private name servers and $200 marketing credits are also available in every account. The users of Reseller Class can create unlimited sub-accounts and provide each customer with cPanel, PHP, Perl, Python, MySQL, PostgreSQL and SSH. There are three server locations available for selection, including the US, Europe and Hong Kong. HostGator reseller hosting services have been known for a high level of flexibility and scalability. The company offers five upgradable plans, among which Aluminum is the most basic one. Aluminum is priced from $17.46/mo, covering 50 GB disk space and 500 GB monthly data transfer. WHMCS and WHM Autopilot enable users to manage billing and clients easily, and the ResellerClub account allows them to resell domains. In addition, there is a non-contractual 45-day money back guarantee. It is a comprehensive web hosting review site that helps webmasters select the best shared, VPS, dedicated server or reseller plan.